Little Pink Book: A purple room. This week has been kind of long. I feel like I have been really busy with everything, and I'm thrilled that it's finally Friday. Bill and I are painting one of the rooms in house that is going to be our room. We decided to paint it purple. I'm honestly very happy that Bill doesn't mind that it's going to be purple. I don't know how I got so lucky... 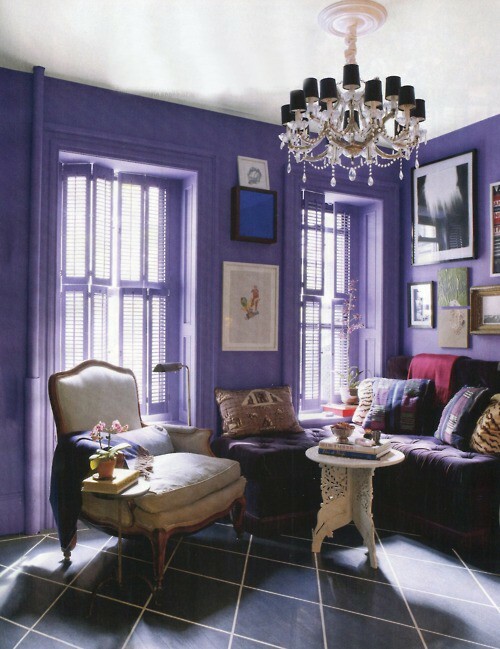 I've always wanted to paint a room purple and never actually got around to the painting part. This will be a very exciting first time for me! !